Fairs are a staple here in the Midwest. In July and August you can attend a Fair every week, many times, multiple locations. Fairs have been an institution since the first settlers arrived and needed a way to sell their products, socialize with their widely separated neighbors, and obtain bragging rights for their produce and farm animals. I grew up in McCleod County, MN, and, at that time, the Fair was in September, after school started. The Fair was so important to the community that school was closed for several afternoons so we could attend. Minnesota became a State in 1858 and the McLeod County Fair was established in 1872. 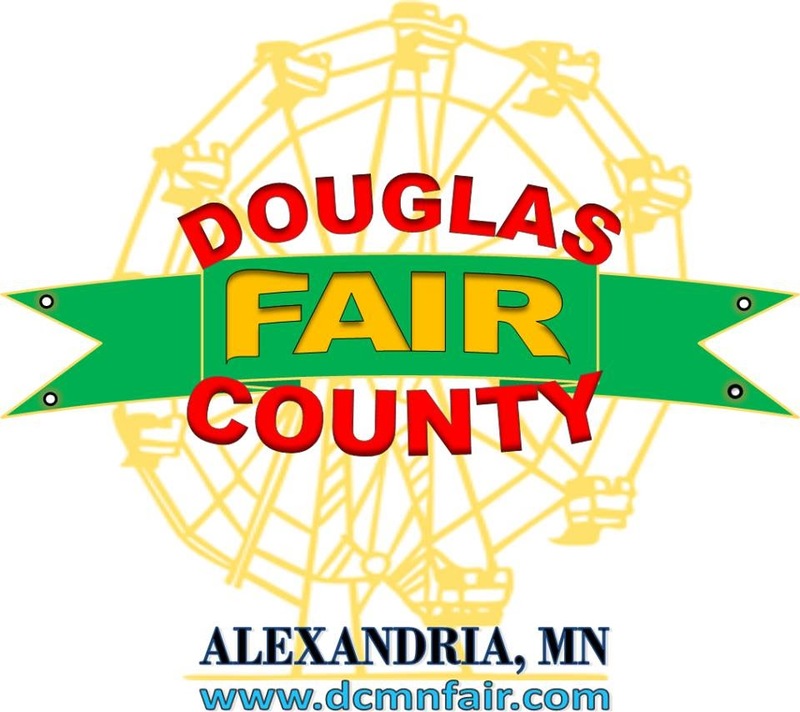 I now live in Douglas County, MN, where the Fair is still an important and well-attended community event. 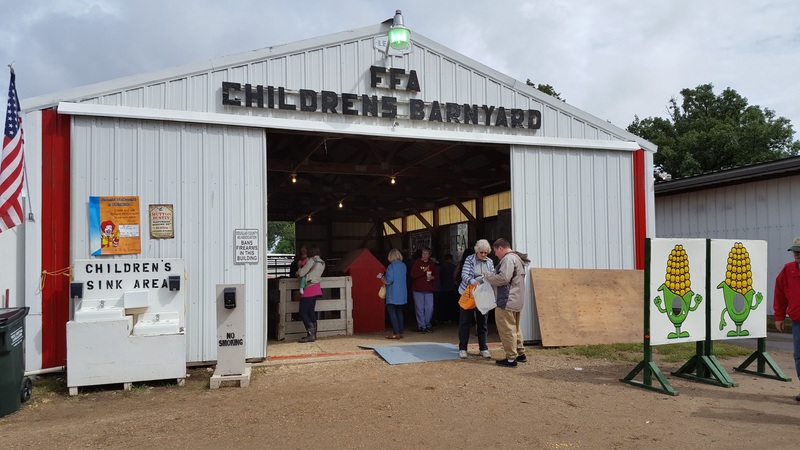 As the area has become more urban than rural, the Fair has incorporated events for all community members but still features rural activities such as animal husbandry and farm equipment. At one time, a Huge part of any Fair was the farm equipment exhibit. Machinery Hill separated the men and boys from the women and girls. Machinery Hill now doesn’t exist–even at the State Fair–or a small semblance may contain lawn mowers, snowblowers and ATVs. In 2010, Machinery Hill at the MN State Fair, sported Vintage tractors and other farm implements–all motorized. There is a distinctive sound to each brand of tractor that anyone growing up on a farm can identify just by sound. 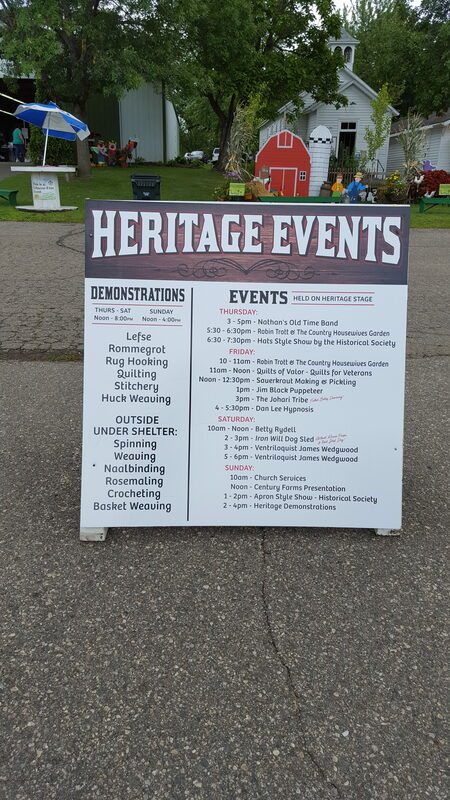 Heritage events are a large part of the Fair as you can see from the signboard. If Rommegrot and Lefse are not to your liking, there is plenty of other food. 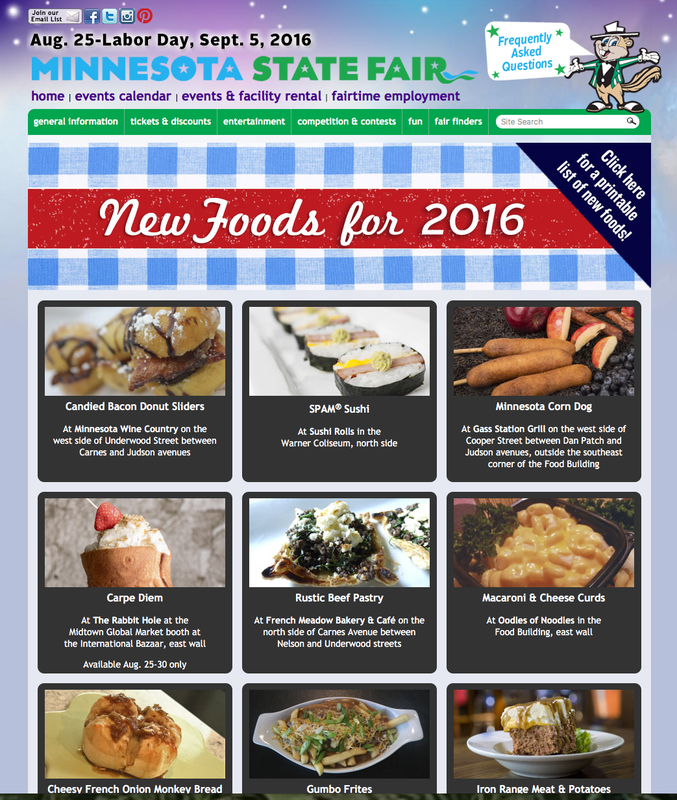 You won’t see Krazy fried food combos here that are at the State Fair. 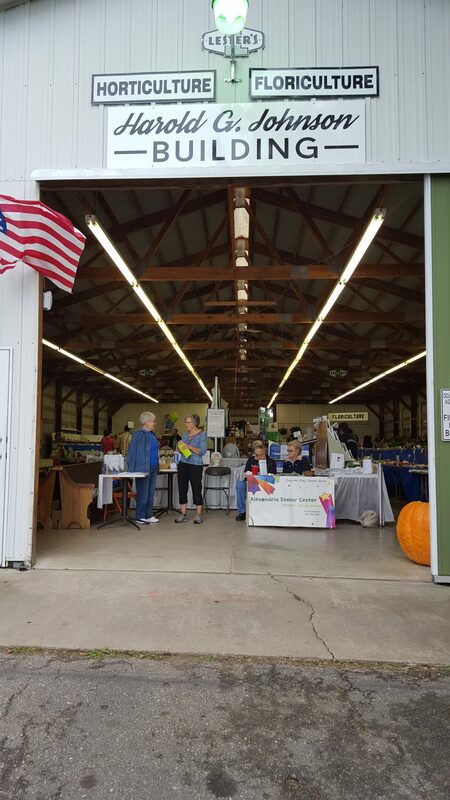 This is where you will find sewing, crafts, jams, pies, cakes and cookies, and more…. 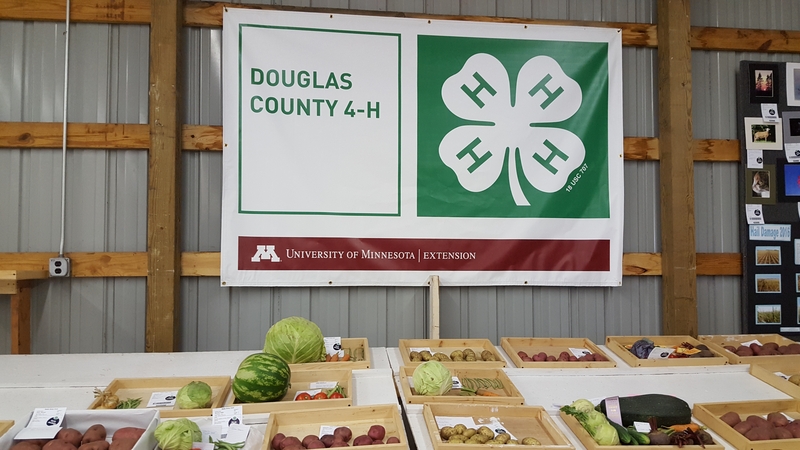 4H exhibits are by far the largest group at the Fair. Once just for rural youth, now an International organization for all youth–rural and urban. A small sample of the projects on display. Clothing projects can be Purchased or Made. Purchased focuses on quality, cost, use, care, suitability, all good things to keep in mind to defeat impluse buying. Made by 8 year old. Good job of matching stripes. Boy’s Rule One in every crowd? Not sure what this was meant to be…but it has feathers! World’s largest agricultural youth organization that trains young adults for careers in the vast industry of agriculture. The Auction is a bittersweet end to a year of raising a 4H animal entry. Hey Buddy, Win a bear…. Merry-Go-Round has no music ? 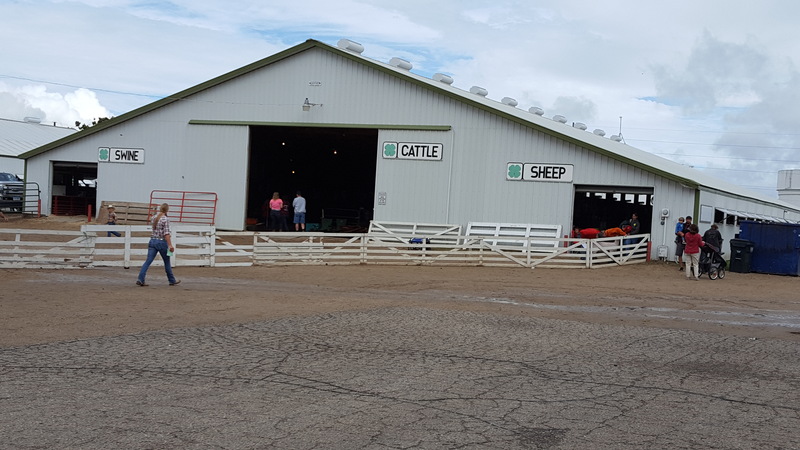 This entry was posted in OUT AND ABOUT and tagged 4H, Douglas County Fair 2016, Fair, fair food, FFA, machinery hill, mini donuts', Pork Producers. Bookmark the permalink.